RALEIGH, N.C. – Ten teams including Infinity Engineering will compete in the Chavis Basketball Summer League which begins Tuesday, June 20, 2017 at Emery Gymnasium on the Saint Augustine’s University campus. Admission is free to the public. 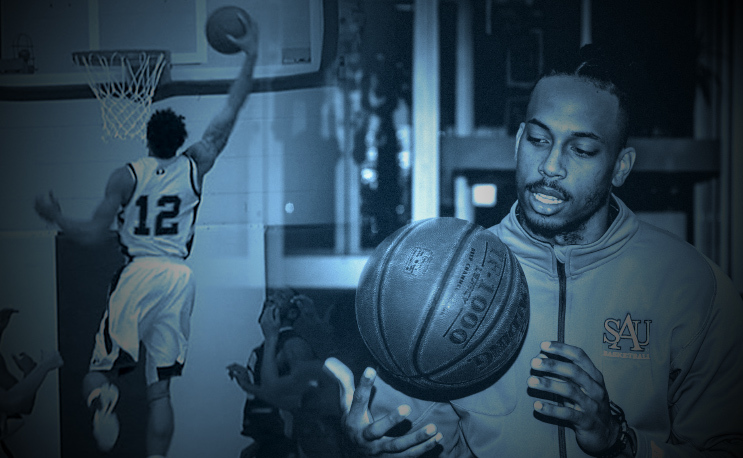 The Infinity Engineering team will consist of Saint Augustine’s University student-athletes including BOXTOROW HBCU All-American and two-time CIAA Defensive Player of the Year Quincy January. The league will feature a six-week regular season and a postseason tournament culminating with a championship game on Thursday, Aug. 3. Game times are 6:45 p.m., 7:45 p.m. and 8:45 p.m. on Tuesdays, Wednesdays and Thursdays during the regular season. Action starts with preseason games on Tuesday, June 20 and Wednesday, June 21 at 6:45 p.m. both days. Three games will be played on Tuesday and two games on Wednesday. The regular season begins Thursday, June 22 with three games slated that evening. In addition to Infinity Engineering, the teams competing in the league are Sharpshooters, Black Devils, William Peace, Flexcut, Bulldogs, R&H Enterprise, Triangle Strong, Mr. Mike’s Ballerz and Hubie’s Allstars. The Chavis League, sponsored by Raleigh Parks and Recreation, has featured NBA and collegiate standouts over the years including ACC and CIAA student-athletes from Saint Augustine’s University and Shaw University.